At Villanova University, there are several courses that focus on the role that technology plays in business. At the graduate level, it is required that students develop business technology strategies for their companies. This task is placed in context of the best practices around the development of business technology strategies. Part of the learning process is for students to understand all of the components of a useful strategy. In this regard, the author has developed templates that help students organize and develop their strategies. 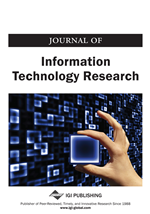 The templates form the basis for both the “theory” and “practice” of business technology strategy, and are presented in this paper to provide a framework for understanding the strategy development process and a lens through which the strategies in this special issue can be assessed. “A technology strategy has traditionally been expressed in a document that explains how technology should be utilized as part of an organization's overall corporate strategy and each business strategy. In the case of information technology (IT), the strategy is usually formulated by an organization's Chief Information Officer (CIO), Chief Technology Officer (CTO) or equivalent, and that person is accountable for leading the strategy's execution. Accountability varies for an organization's strategies for other classes of technology. Although many companies write an overall business plan each year, a technology strategy may cover developments somewhere between three and five years into the future. “Other generations of technology-related strategies primarily focus on: the efficiency of the company's spending on technology; how people, for example the organization's customers and employees, exploit technologies in ways that create value for the organization; on the full integration of technology-related decisions with the company's strategies and operating plans, such that no separate technology strategy exists other than the de facto strategic principle that the organization does not need or have a discreet 'technology strategy'. “A technology strategy document is usually designed to be read by non-technical stakeholders involved in business planning within an organization. It should be free of technical jargon and information technology acronyms. The IT strategy should also be presented to or read by internal IT staff members. Many organizations circulate prior year versions to internal IT staff members for feedback before new annual IT strategy plans are created. “One critical integration point is the interface with an organization's marketing plan. The marketing plan frequently requires the support of a web site to create an appropriate on-line presence. Large organizations frequently have complex web site requirements such as web content management. “The CIO, CTO or IT manager frequently creates a high-level overview presentation designed to be presented to stakeholders. Many experienced managers try to summarize the strategy in 5-7 slides and present the plan in less than 30 minutes to a board of directors. It is also common to produce a professionally bound booklet version of the strategy - something physical that IT teams can refer to, rather than the more disposable presentation slides. “One of the principal purposes of creation of a technology strategy is to create consensus and stakeholder buy-in. There are many methods to this process such as the delphi method. Organizations that have the option of using a non-biased outside facilitator frequently build consensus quickly using these processes. Successful strategies take into account the collective knowledge of many levels within an organization and attempt to remove bias of one or more individuals. The use of anonymous feedback has been shown to prevent highly destructive passive aggressive employee behavior. “A technology strategy document is usually designed to be read by non-technical stakeholders involved in business planning within an organization. It should be free of technical jargon and information technology acronyms. “The IT strategy should also be presented to or read by internal IT staff members. Many organizations circulate prior year versions to internal IT staff members for feedback before new annual IT strategy plans are created. One critical integration point is the interface with an organization's marketing plan. The marketing plan frequently requires the support of a web site to create an appropriate on-line presence. Large organizations frequently have complex web site requirements such as web content management.